This 2 bedroom apartment is located in Budapest and sleeps 4 people. It has WiFi and parking nearby. We offer the Danube 1st line apartment in the Budapest City center. 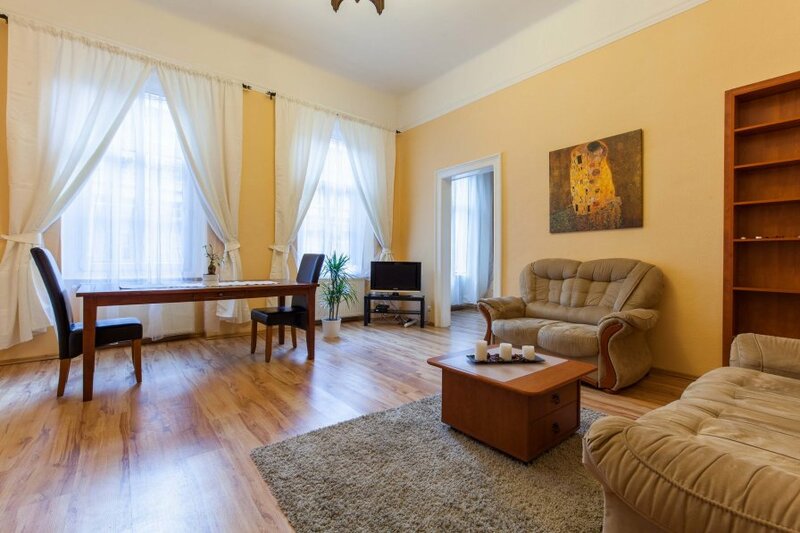 Apartment is located in the beautiful historical building, Belgrad rakpart street, registered in Unesco, with excellent central location, however nicely quiet. 2 separate rooms (living room with sofa, TV, dining table), bedroom (queens bed for 2 people, gallery for 2 people by the stairs). There is extra kitchen, bathroom, toilette and entrance hall. Size: 54 m2, 2nd floor, no lift. Payed parking next the app. Warmly welcome!